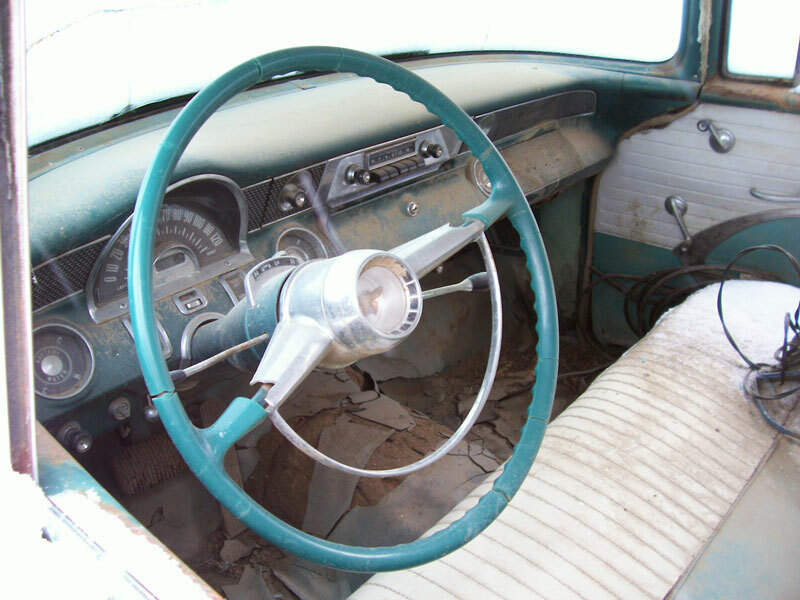 This green and white 1955 Pontiac Chieftain 870 Deluxe 4 door station wagon is a very straight, complete, solid survivor ready to be restored or customized. The front of the hood is dented. The windshield is cracked. The rest of the glass is good. The grill and bumpers are good. The paint is peeling and there is some minor surface rust. The green and white interior is all there. The dash is complete. The floors are solid. 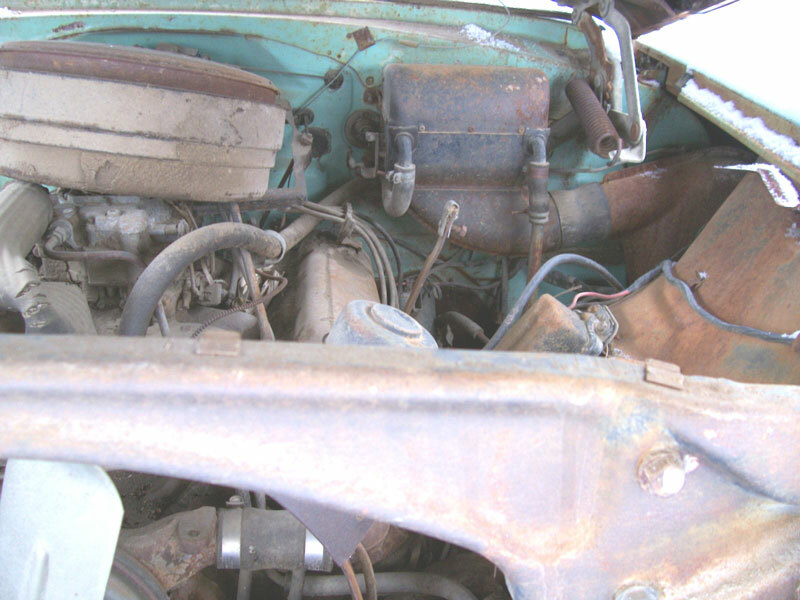 The 287 CID V-8 motor is all there. The radiator is missing. The automatic transmission is in the car. Mid 50's Pontiac wagons are becoming more popular as classics enthusiasts build family-oriented project vehicles. 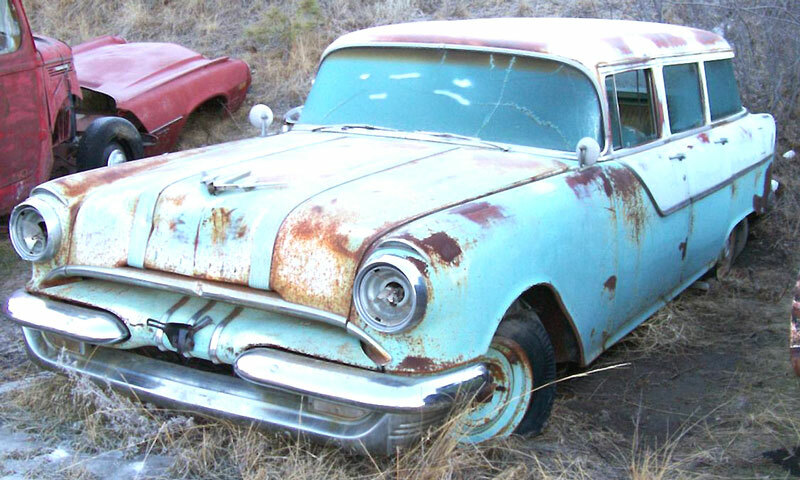 Please call (406) 318-0270 for details about this restorable classic 55 Pontiac wagon project car. For sale $2,000.